One of our most popular products are slimline rainwater tanks. The slimline tanks are designed to fit under the eaves of a house, making this underground-style tank the most practical of all our water tanks. Slimline water storage tanks can be placed directly onto pavers or on a concrete pad. A stand is incorporated into the design, placing the tap about 370mm from the base to ensure filling containers is made easy. We also custom design and manufacture slimline water tanks so they can fit down the side of your house or in a space where a conventional round rainwater tank won’t fit. We can make a slimline tank to fit in the tightest of spaces. This utilises wasted space and hides the water tank from general view. Our designer water tanks look great, keep their shape and can fit almost anywhere. You can select the width, length and height of your tank to suit your requirements. 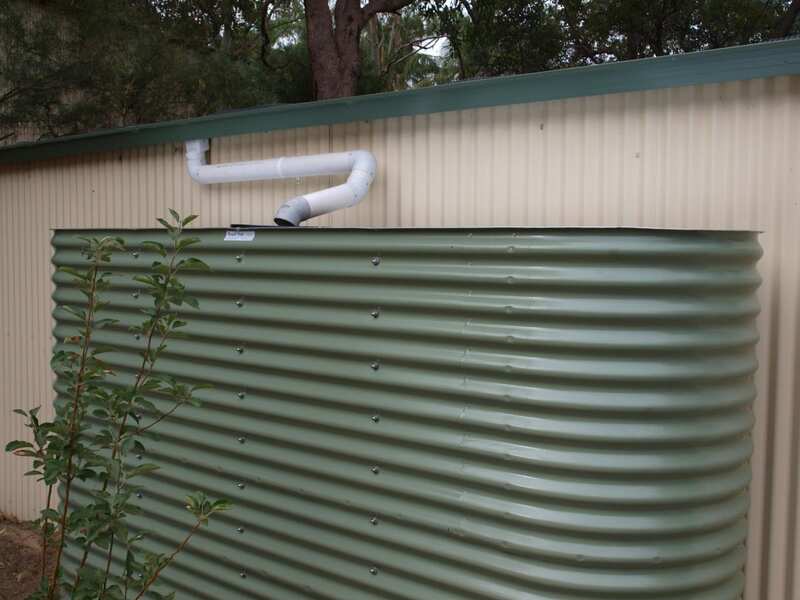 Our corrugated rainwater tanks come in a range of colours and all tanks come with aqua plate, ‘food-grade’ polymer on the inside, which has a 20-year warrantee. The choice is yours. Your slimline tank will be made to suit your home; you can select the position of the fittings to make the plumbing as neat and practical as possible. We’re your local suppliers for water tanks. Not only will we work with you to custom-build your slimline water tank, but we also carry out high-quality installations in Perth and the surrounding areas. This is a part of our commitment to ensure our products work to the highest possible standards. Contact us to create and install your ideal slimline water tank in Perth. Call (08) 9302 1159 or send us a message online for a quote.